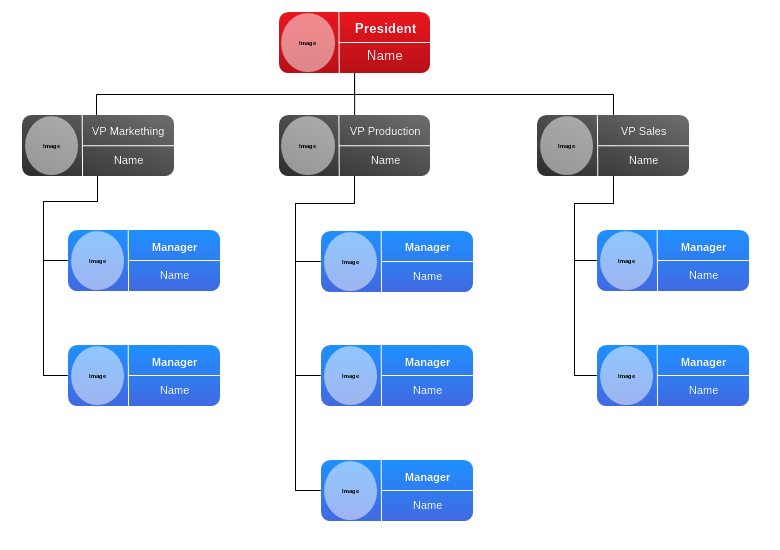 This free template of organizational chart contains a very basic structure of a company, including the positions of a President, VP Marketing, VP Production, VP Sales and several subordinates to each of those. Each box is a combination of several items including a round shape, couple of separating lines and two lines of text. To add an image to the round shape simply select it and edit the background settings. You can easily expand or modify this diagram by copying the various grouped boxes with elements and rearranging them as per your needs.